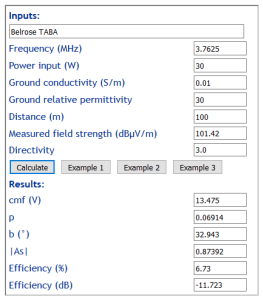 Above, Belrose gives a set of measurements of field strength at different distances, and a curve fit from which he takes a value of 101.42dBµV/m at 100m as the basis for his efficiency calculation. If the ground was lossless and Directivity assumed to be 3, we can calculate the expected field strength at 100m from a lossless antenna. 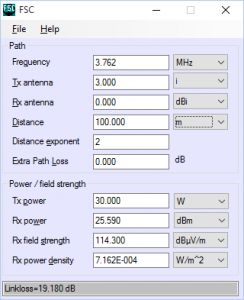 Above, the lossless field strength would be 114.3dBµV/m and the deficit (114.3-101.42=12.88dB) would infer the efficiency of the antenna (10^(-12.88/10)=5.15%). 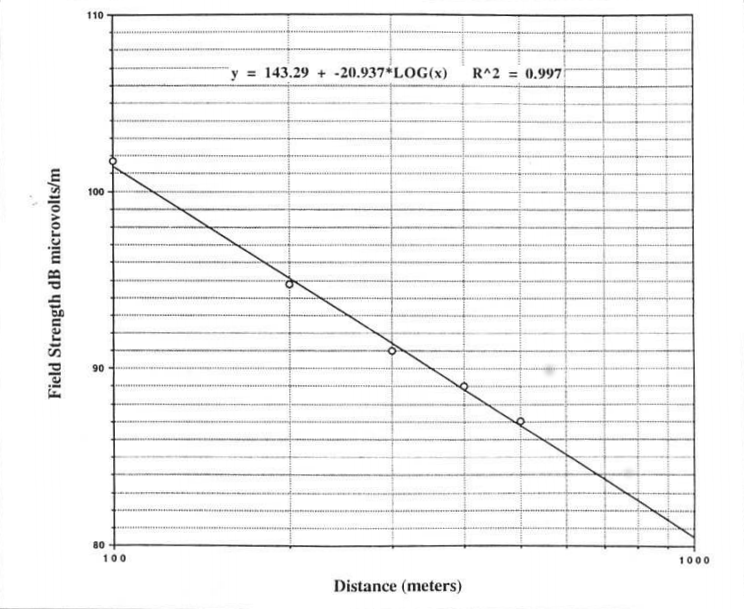 Belrose extrapolated his measurement to 1km, and of course got the same result. The question that arises is whether assumption of negligible ground wave attenuation is a good one. 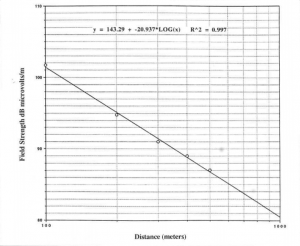 Belrose did not disclose the ground type, but using the same figures as he used for his NEC models, let us assume σ=0.010, εr=30. 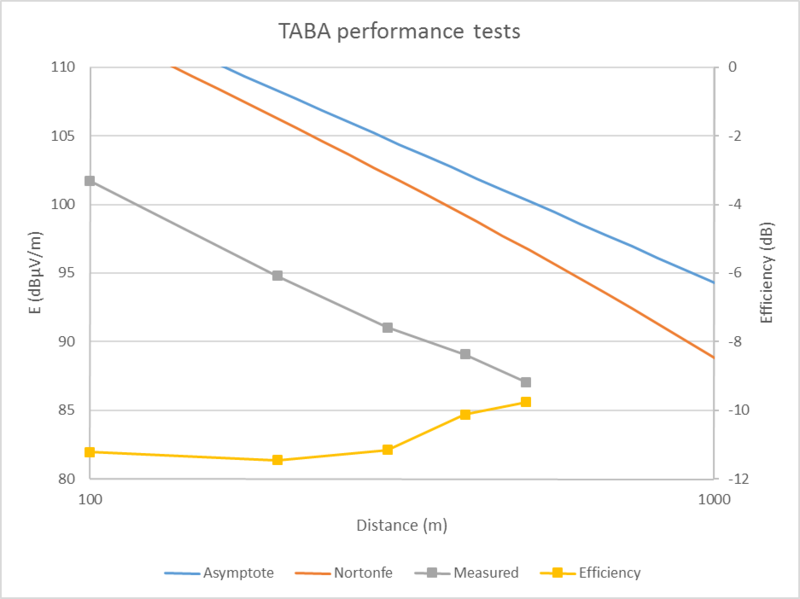 Above, a calculation of efficiency taking into account an estimate of ground attenuation using Norton’s f5 approximation. 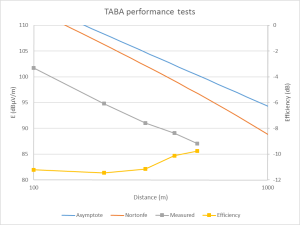 Factor |As|=0.87392 is the ground attenuation factor, 0.6dB, and worth considering. 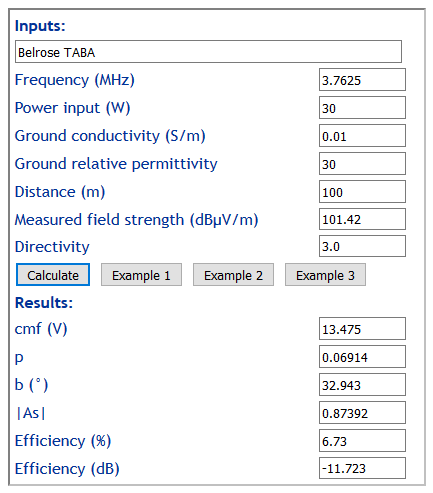 Calculated efficiency at 6.16% (-11.7dB) is 1.2dB higher than Belrose’s 5.15% (-12.9dB). Belrose, J. Sep 1998. A tuneable all bands HF camp/mobile antenna In Communications quarterly Fall 1998.